Designed to combine the luxury lifestyle of The Ritz-Carlton® and the casual freedom of a yachting vacation, The Ritz-Carlton Yacht Collection will offer voyages on the first of three custom-built yachts in 2020. Calling on unique and distinguished destinations alike, most voyages range from seven to ten nights, offering many overnight calls and uniquely curated experiences ashore. Each yacht will feature 149 suites, each with its own private terrace, and accommodate up to 298 guests in a relaxed, casually elegant atmosphere. 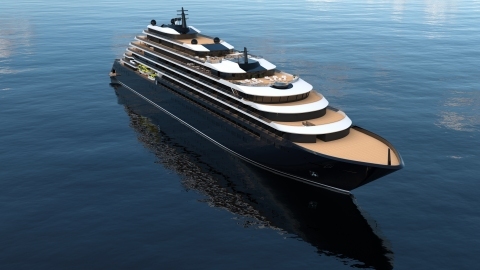 As with The Ritz-Carlton on land, each yacht will feature personalized service, elevated dining and luxury amenities. The yachts are also available for private charter. For more information, please visit www.ritzcarltonyachtcollection.com. For reservations, contact a Yacht Vacation Consultant at (833) 999-7292 (U.S. & Canada) or contact your travel professional.